We just add new kittens. We just add new pictures of kittens "Y", "Z" and "A"
We update kittens and youngsters. We have uploaded new pictures of 'L' litter. 'Kittens' and 'Plans' are updated. We have uploaded new pictures of available kittens. New pictures of litter 'H' are now available together with first pictures of litter 'I'. New pictures of our kittens are available. First pictures of 'G' litter are available. Photos and more information soon. After a long holiday break we introduce our sweet kittens with pleasure. We expect kittens for Christmas. 2x Ex1, BIV, NOM BIS. and he became an International Champion. 2x Ex1, CACIB, BIV, NOM BIS. Photos of litters 'B', 'C' and 'D' are updated. We are happy to present our new kittens after a holiday break. Gallery of 'Z' litter is updated. that Escudo became a father. of his kittens - litter 'Z' and 'A'. 2x Ex1, 2x CAC, 2x BIV, NOM BIS. We have also updated 'Plans'. We have updated actual pictures of available kittens. 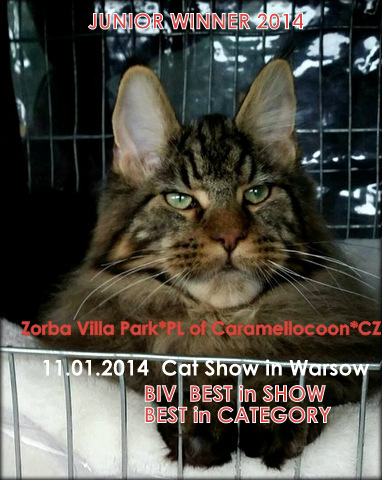 On 13-14th of February we were on International Cat Show in Warsaw. Nuki got: Ex1 and nomination to Best In Show. We are proud to introduce our new red male Nuclear Explosion (Nuki). He came to us from Elphinstone cattery. Thank you very much Inna for giving us such gorgeous and sweet baby. 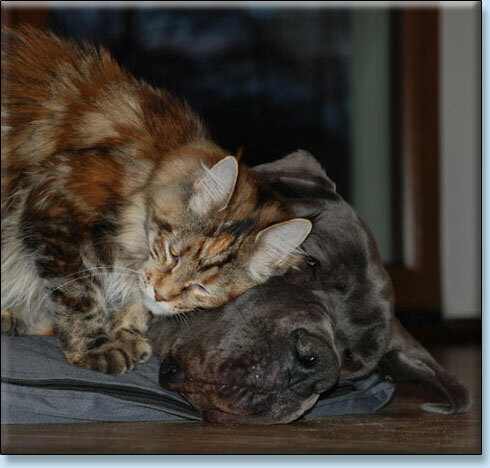 We have updated all 'Youngster' cat galleries. 2.5-week-old kittens from 'X' litter after Jenera and Immanuel. We've also uploaded new pictures of 5-week-old kittens of 'W' litter after Dreamy and Oki Doki. of last available kitten Viviane. She is 4 months old now. Thank you very much Kate from Velvet Rose*PL cattery for giving us such a beautiful male. BIV, BIS i Best of Best. After a holiday break we added new kittens' pictures. We are very proud of our cats. Ex1, NOM BIS, BEST IN SHOW. On 04-05th of July we were on International Cat Show in Gdansk. 2x NOM BIS, BEST IN SHOW. We are very proud of him. 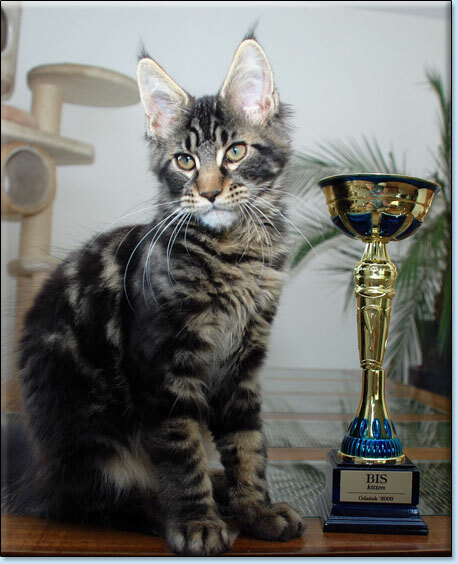 We are proud to introduce our new male Escudo who came to us from Velvet Rose*PL cattery. Thank you so much Kasia for this lovely and beautiful boy. We have updated kittens' galleries. Copyright ©2005-2012 Villa Park*PL, All rights reserved.